Visit the multi-peaked rocky range formed by the wind and rain in Montserrat. The popular imagination has seen various human and animal figures and named them accordingly. The Basilica of Montserrat holds the Montserrat Virgin known as La Moreneta (the Black Madonna), patron Saint of Catalonia. 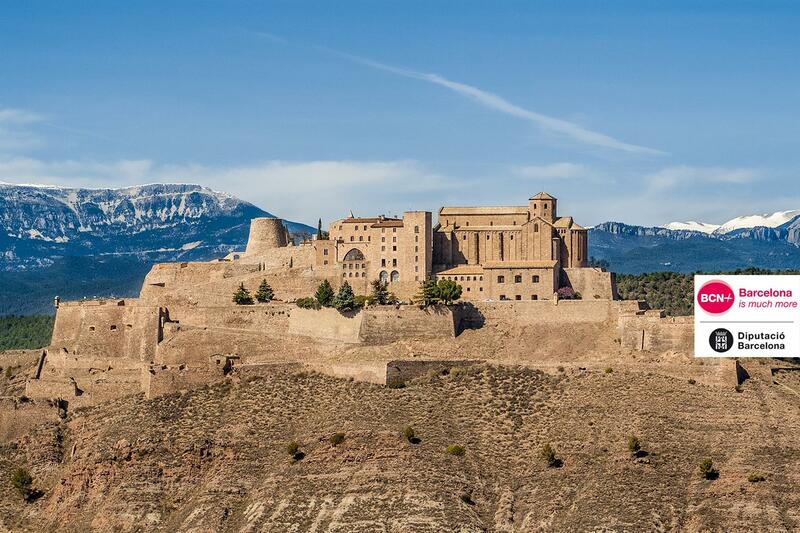 Visit Cardona Castle as well as some parts of the old Castle of Cardona. The Salt Mountain Cultural Park in Cardona is a diapir that grows every year, extending its territory in an elongated ellipse shape. 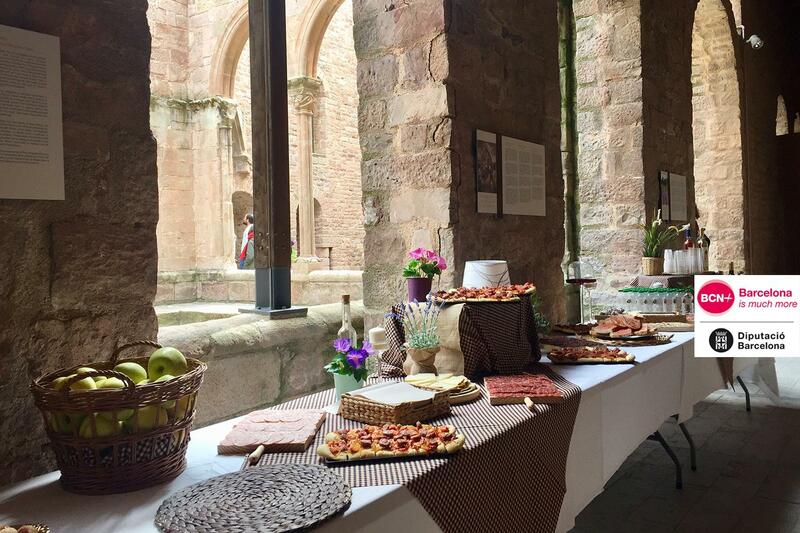 Entrance and visit to the Cardona Castle..
Brunch composed of products from the typical gastronomy of the area paired with a glass of white wine, a glass of red wine and a glass of cava – typical alcoholic drink produced in the area.. Entrance and visit to the Salt Mines. Taste of 3 typical liquors, handmade by the monks of the monastery. Entrance to the audio visual exhibition in Montserrat “Espai Audio visual Montserrat”. The exhibition is based on three fundamental pillars: mountain, monastery and sanctuary. It explains to its visitors the history, natural creation and significance of this pilgrimage site. At Montserrat there is mountain climate, depending on the season you will need clothes protecting you from the rain and/or cold. 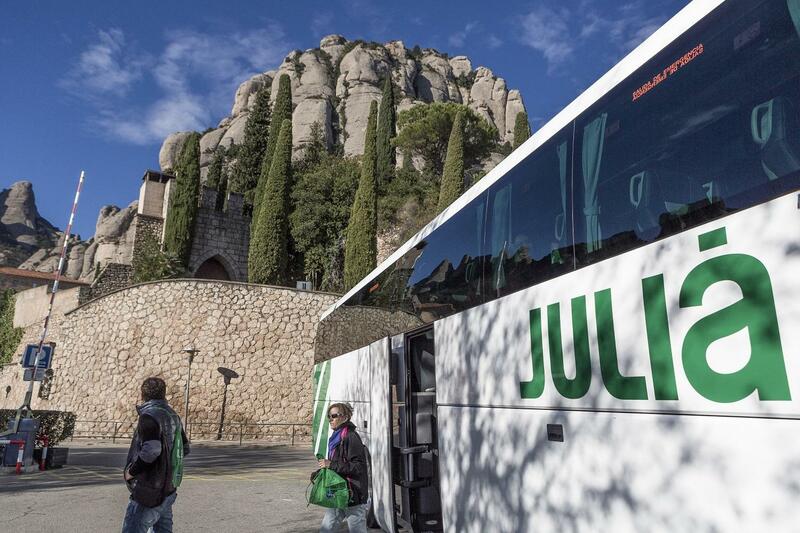 Start the journey from Barcelona in a comfortable coach towards the municipality of Cardona where is sited the old Salt mine. The Mountain of Sal of Cardona is a diapir that grows every year occupying a depression of the terrain in an elongated ellipse shape. The area extends as of 1,800 m long by 600 wide and a total area of 100 hectares. Its natural characteristics have make it worthy to be included in the Plan of Spaces of Natural Interest of Catalonia. After the closure of the mines began the tourist exploitation in the area with the creation of the Salt Mountain Cultural Park. 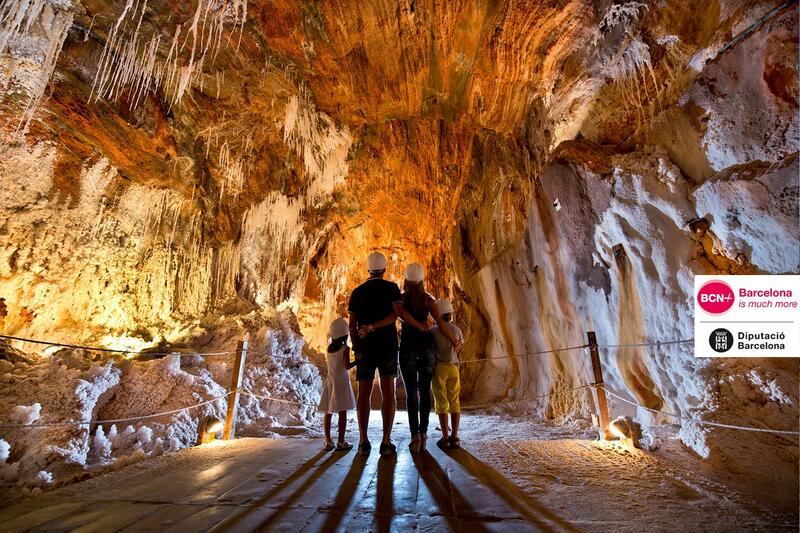 This cultural equipment was inaugurated in 2003 inside the enclosure of the Mine “Nieves”. In it you can see the history of the industrial exploitation of the Valley along with the machinery used for mineral extraction from the walls on a guided tour at 86m depth. We will then continue to Cardona Castle. In this visit we offer you the possibility to go all over a modern fortress and some of the parts of the old Castle of Cardona, built in 886 by Wilfredo el Velloso and a great mix of Romanic and Gothic styles. The jewel of the same is the Minyona tower, of 15 meters in height and the Romanesque church of San Vicente de Cardona. During the fifteenth century, the dukes of Cardona were the most important family of the Crown of Aragon, only behind the Royal House. The members of the ducal house were known as “crownless kings” because they had extensive territorial dominions in Catalonia, Aragon and Valencia and dynastic ties with the royal houses of Castile, Portugal, Sicily and Naples. In 1714, after the siege that largely destroyed the walls of the castle, Cardona was the last stronghold to surrender to the Bourbon troops of Philip V during the War of Succession. However, the citadel could not be taken by Napoleon’s troops. 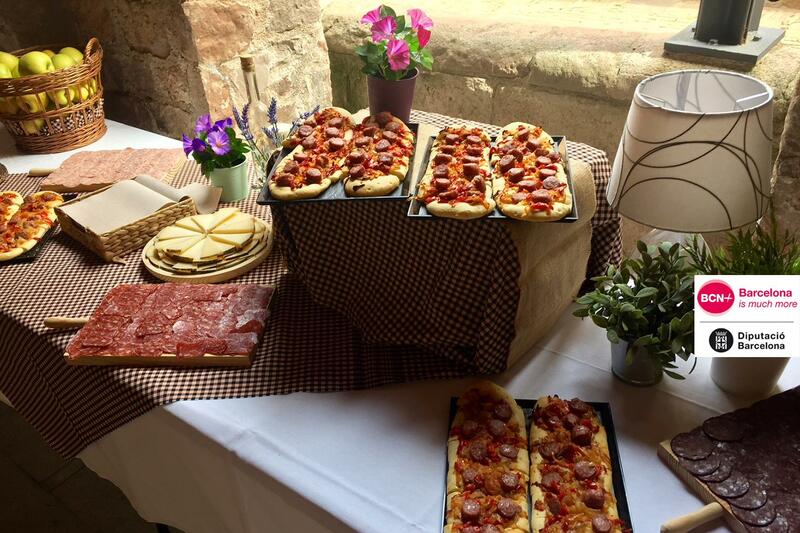 After the visit to the castle you will go to a room where the Brunch composed by local food, one cup of wine and cava will be served. After brunch we will drive to Montserrat Mountain. Montserrat is a multi-peaked rocky range formed of sedimentary rocks shaped by the wind and rain. The popular imagination has seen human and animal shapes in some of these peaks, giving them names and inventing legends to explain their fantastic origins. This trip to Montserrat will give you the opportunity to enjoy the wonderful and breathtaking views of the Montserrat Mountain, one of nature’s special creations. 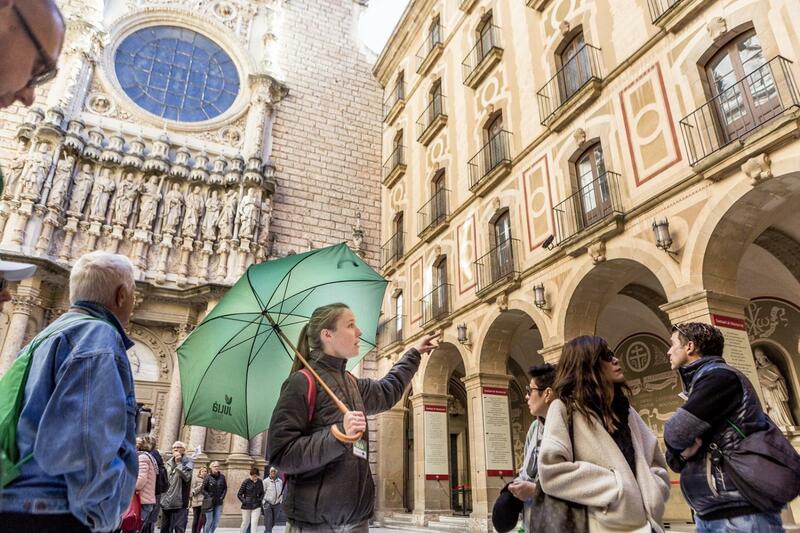 You will visit the Royal Basilica of Montserrat, which holds the famous 12th century Romanesque carving of Verge Moreneta (the Black Madonna). You will be able to see this famous statue of the Black Madonna from a distance. 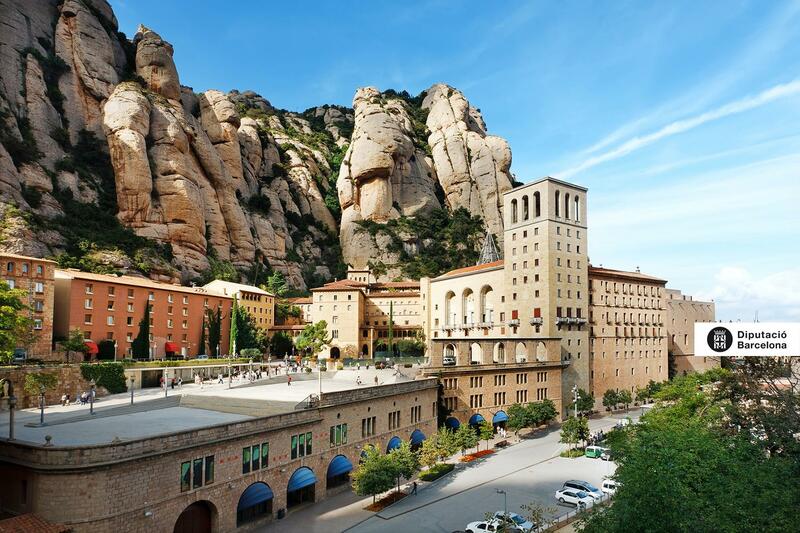 The Benedict sanctuary of Montserrat was founded in 1025 and provides a mystical backdrop for the Virgin of Montserrat, the patron saint of Catalonia who is enshrined in the monastery's Royal Basilica. The little monastery soon began to receive pilgrims and visitors who contributed to the spread of stories of miracles and wonders performed by the Virgin. 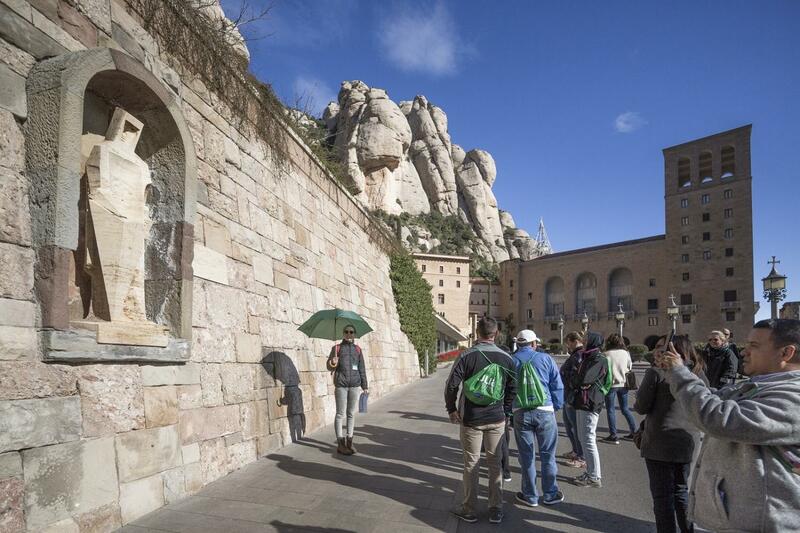 Today, Montserrat has been modernized to continue attending the pilgrim needs, one thousand years after it was originally founded. 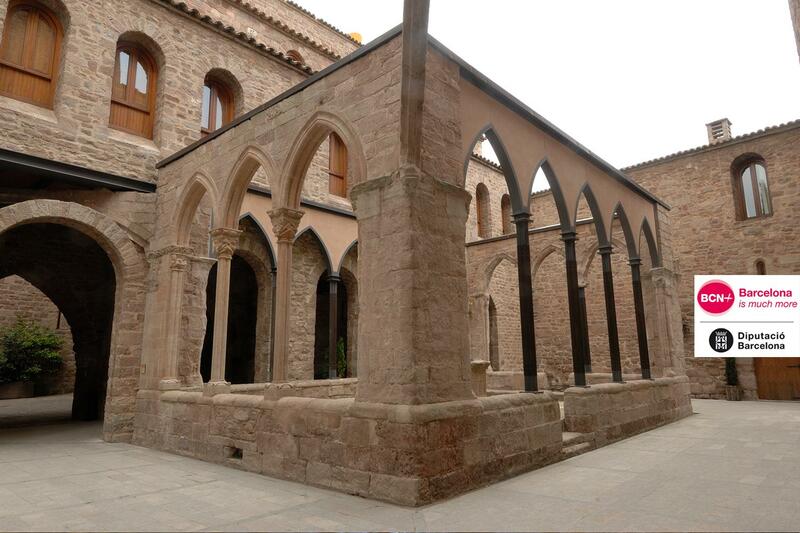 You will be given some free time to visit the audio visual exhibition about the history and creation of Montserrat. 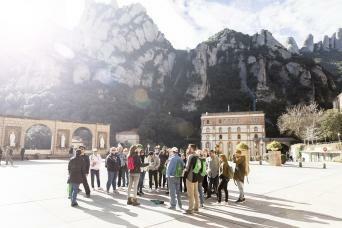 And taste typical liquors of Montserrat.